This image is a successor of the image showing comets Hale - Bopp and Hyakuteke in the Perseus constellation. It is interesting that since March 1976 (comet West) all comets brighter than the third magnitude visible from the northern hemisphere were visible in this constellation. 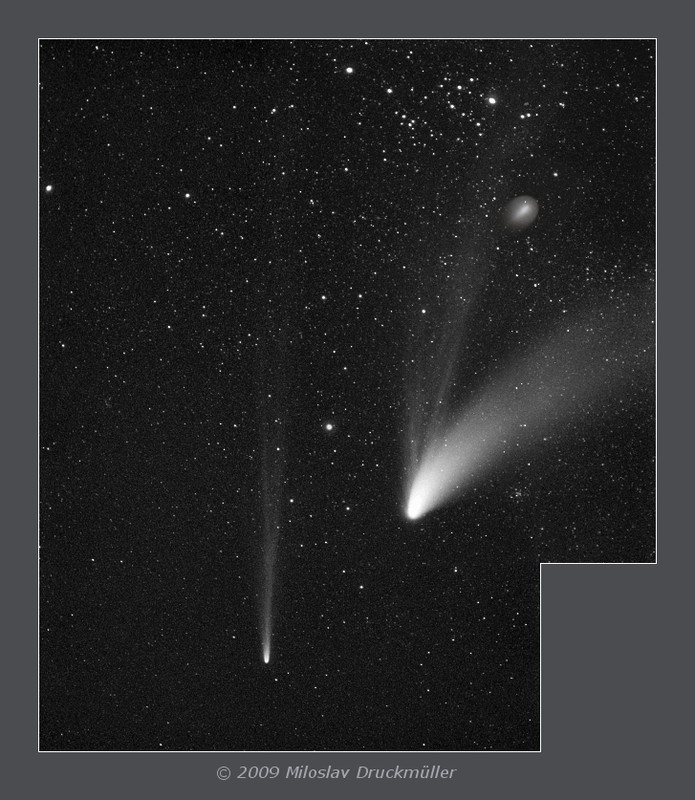 The only exception was the McNaught comet, which was visible only shortly and not very well from the northern hemisphere and which was a spectacular object on the southern hemisphere in 2007.